I wore this to a friends birthday party at the yacht club, and had just enough time to take some photos before the sun slipped away. The docks are a bit sad in the winter with all the boats on dry land. 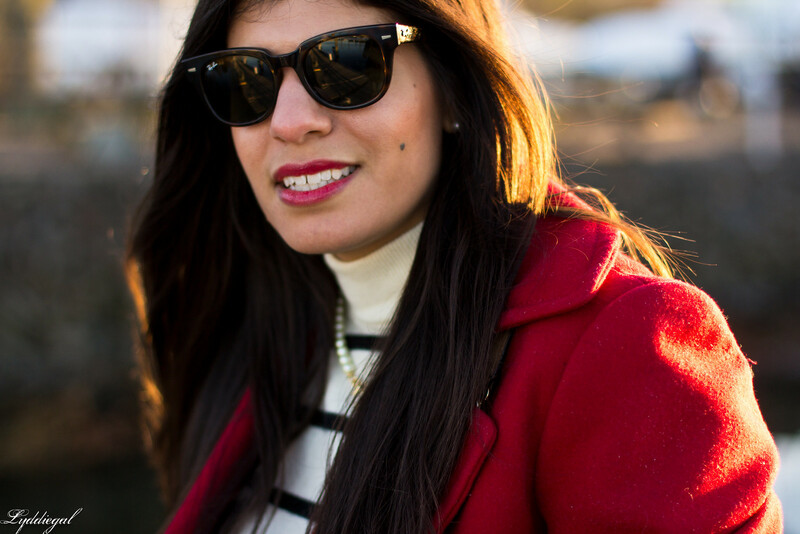 I am totally loving the look and have my eyes set on the anchor+pearl necklace ! I've definitely drunk the kool-aid about stripes!! I love that striped sweater, super cute outfit. Every time I see you carry this bag, I have to do a double take to make sure it's not a Gucci you somehow lucked into finding at a thrift store - it just looks so elegant. 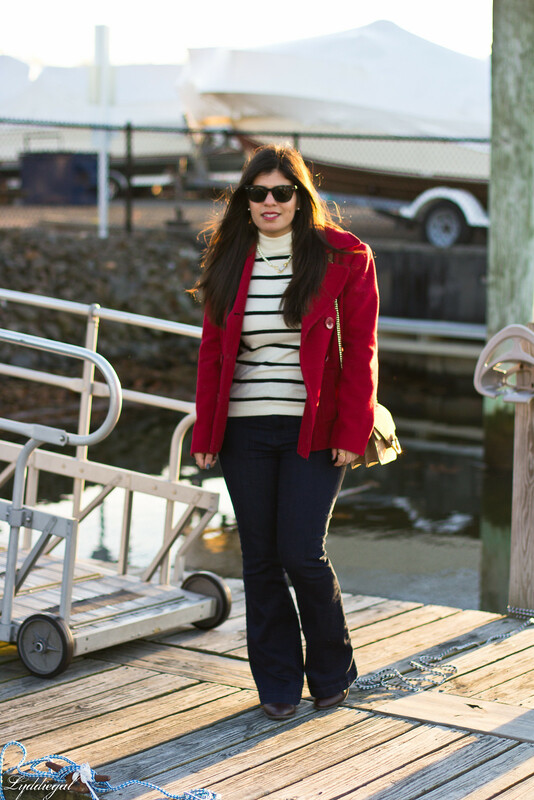 And I love it paired with flares, which I have an increasing fondness for as time goes on. 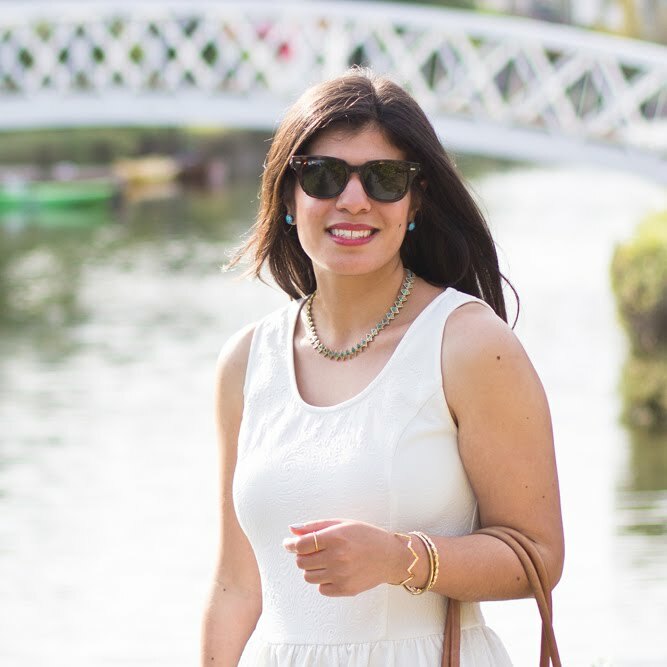 I never thought I'd want to wear the silhouette again but lately I just love the look on others (and often find myself wishing they looked better with flats, because that is their one limitation) which makes me want to pull my own out more and more! 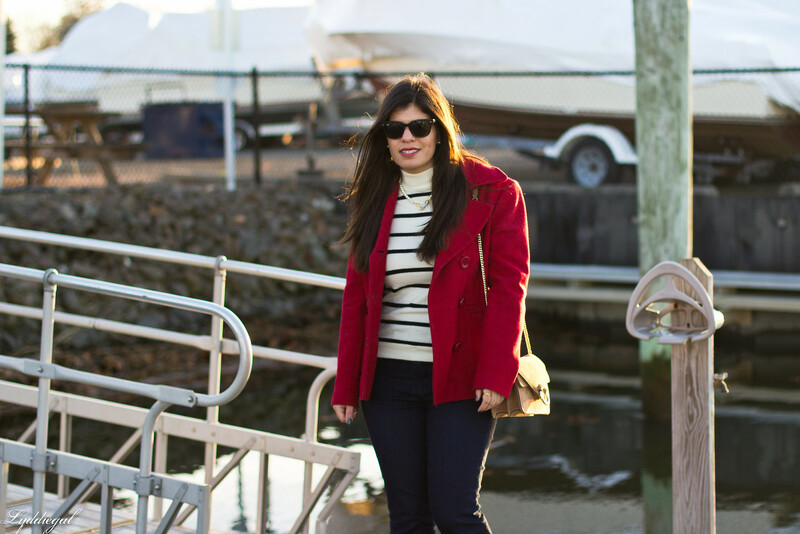 Love the red coat with the stripes! I love anything and everything striped, even striped pants! 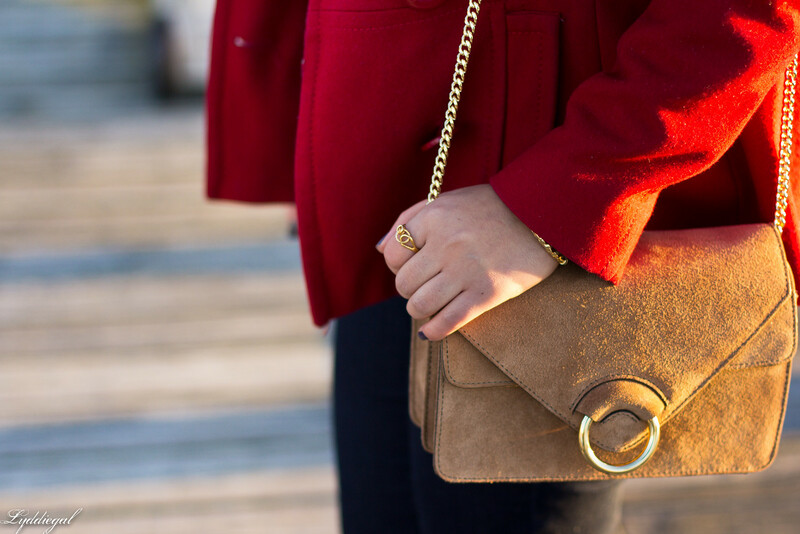 I love the pop of red in your outfit too with the jacket! Sounds like such a fun party! I love the color of your coat! So cute! 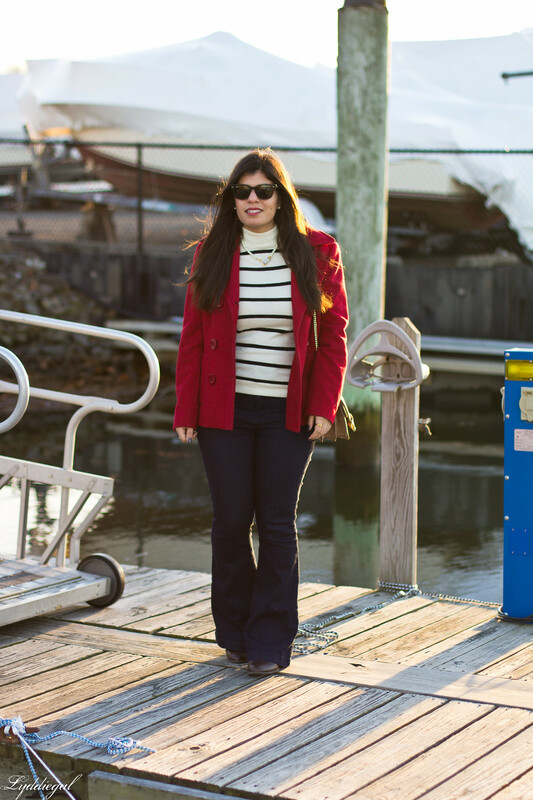 Loving the flares paired with the blazer! Such a gorgeous bag too! perfect outfit for a yacht party! so cute! 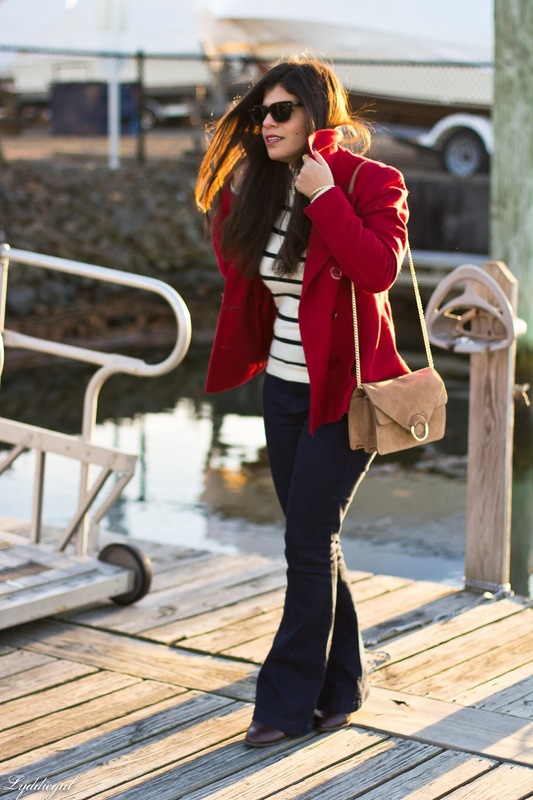 Loving how your coat adds a cheerful pop of color and of course red and stripes are always beautiful together. I love stripes so of course I adore this look! 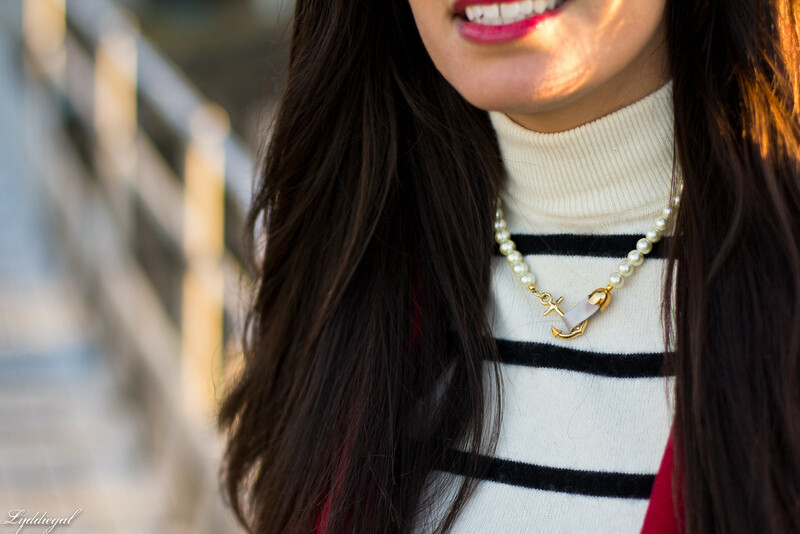 Love those stripes and that necklace!